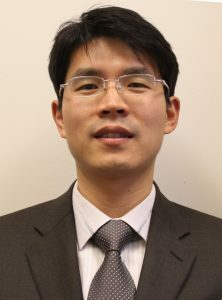 S. Lee (PI), “Design of Multifunctional Energy Harvesting Skin Under Stochastic Vibration and Application to Wireless Sensor Operation,” National Research Foundation (Republic of Korea), Jul. 2009 – Jun. 2010. My main research interests include energy harvesting (EH) device design, topology optimization, robust design, and reliability based design optimization. Based on the design optimization technology from my doctoral thesis, I have passionately conducted researches on energy harvesting devices for a battery-free small electronics system. I am continuing my work on researching multidisciplinary engineering design topics considering (i) piezoelectric, electromagnetic, photovoltaic energy conversion, and (ii) uncertainty and randomness of ambient energy characteristic (such as variable vibration signal from machinery). Design optimization methodologies such as topology optimization can be utilized for effective material usage and higher energy conversion efficiency. My long term research goals embrace: (i) durable and sustainable energy harvester design, (ii) system level embodiment of the harvester for system monitoring and energy savings.